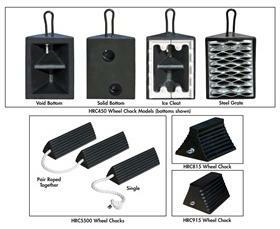 Rubber Wheel Chocks | David's Inc.
Strong, safe and resistant to damage from UV, moisture, salt and oils. ROADBLOCKS™ Rubber Wheel Chocks are strong, safe and resistant to damage from UV, moisture, salt and oils. 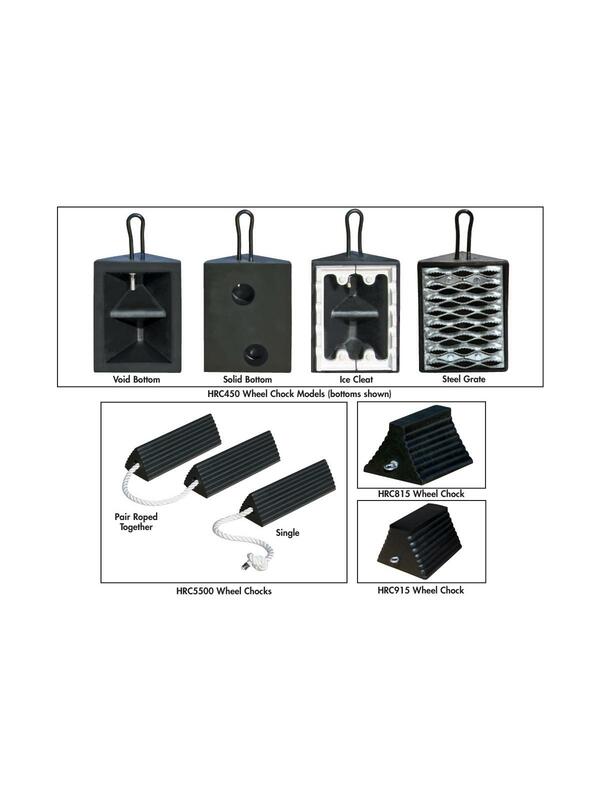 Their traction design grips tire and road and will not cause tire or pavement damage. The chock design also allows either side to be positioned against tire. FOB Shipping Point. L x W x H 10 x 5 x 4.4" 10 x 8 x 5.5" 10 x 8 x 6" 11.5 x 10 x 7.25" 12 x 5 x 4.4" 15 x 5 x 4.4" 18 x 5 x 4.4" 21 x 5 x 4.4" 24 x 5 x 4.4"